With the advancement of the digital technology, the ways individuals engage in work have begun to shift drastically. The once 9-to-5 office job is being phasing out and with it, digital nomads are coming into place. ‘Digital Nomad,’ is an amorphous group of remote workers that leverage technology to perform their work. It’s generally done in a nomadic manner wherein they work remotely from home, away from home, and while on the road to accomplish tasks and goals that traditionally took place in a single stationary workplace. Are you looking for the perfect place to fulfill your dreams, with a safe, cost-effective and business-friendly environment? Well moving into Asia, especially in Hong Kong, can be your best choice while working as a digital nomad. A former colony of the British Empire, Hong Kong is more popular among digital nomads due to the excellent base to incorporate your business and open a bank account. Moreover, the connection with Mainland China makes the city attractive for business owners who want to tap into the Chinese market. Hong Kong has been built on the influx of different types of people, while preserving its culture. But if you go to the various parts of the city, you can’t ignore the busy streets, multitude of malls and tall skyscrapers. You have the chance to meet a variety of people from all over the globe. With wifi available throughout the territory, it’s relatively easy to stay connected. In addition to this, it’s a central area to hop to other parts of Asia if you are on the move constantly. There are many perks to becoming a digital nomad in Hong Kong, and with this digital nomad guide for living in Hong Kong, you can enjoy every aspect of this city. Being the world’s freest economy, Hong Kong is a financial hub and one of the safest places in the world for incorporating your business and working as a digital nomad. The streets, especially in the more metropolitan areas, are generally full of people, and many businessmen in the finance sector tend to work late. So if you are an allnighter type of person, you’ll hardly alone. There are also various options of getting around. If you love hiking or going around town, then walking would be an excellent way to see the tall-skyscrapers and the bustling city. Plus it is a cost-effective way to get from place to place or a pocket-friendly way to explore Hong Kong. On the other hand, if you are not a walker, the best way to get around is by public transport, which works exceptionally well all over Hong Kong. In fact, all of the islands are connected by a super efficient and affordable ferry system. All you’ll need is an Octopus card, which you can refill at one of the kiosks at each station. And if you’re worried about the language and you are not able to read Chinese, don’t worry. The signs are in both English and Traditional Chinese, and you can use Google Maps to get instructions on which lettered exit is nearest to your destination. Where to Work as a Digital Nomad in Hong Kong? If you’re looking for a more definite option where a desk and unlimited WiFi is guaranteed, and that inspires you while working as a digital nomad, consider working at one of Hong Kong’s co-working spaces. Most co-working spaces offer the part-time hot desk or a day pass membership with plenty of benefits such as free coffee and high-speed WiFi connections. Besides this, being surrounded by other digital nomads in Hong Kong and entrepreneurs can give your productivity a boost. Hong Kong has an excellent internet connection for the majority of places, but if you are still finding difficulty in finding co-working spaces, you can hire a professional who will help you in figuring out over a hundred co-working spaces to use in Hong Kong. Additionally, most Hong Kong libraries and some embassy education centers on Hong Kong Island also offer workspaces for digital nomads in Hong Kong. One of the most common questions amongst the nomad community is how much it costs to be a digital nomad. As a matter of the fact, the cost of living varies significantly between cities, and this can influence your decision on where you move to next. It’s no secret that Hong Kong isn’t cheap when it comes to housing, but the city has plenty of accommodations regardless of your budget. Many digital nomads in Hong Kong opt to stay in a hostel because they are budget-friendly and sociable. According to the Nomad List, the average cost for a one bedroom in the city center on Hong Kong island is $1,200 a month. And the prices can range anywhere from $1,000 to $2,500 a month. However, if you want to try and sublet a room within Hong Kong Island’s limits, try one of the apartments in the tall buildings. In fact, you can do google search and take the help of professionals, if you are looking to meet up and stay with local hosts. While working as a digital nomad in Hong Kong, you get to join a community of coworkers, professional entrepreneurs and travelers from around the world. The best part about staying with the host is that it is free-of-cost and potential hosts are verified for their mobile phone number, home address, payment method, and safety. What to Do When You’re not Working in Hong Kong? While being a digital nomad in Hong Kong, you work wherever and whenever you want, but that doesn’t mean that you can’t enjoy Hong Kong for all its glory. When you have time, it’s good to explore. As a matter of fact, Hong Kong loves networking and makes it easy. There are ample networking opportunities, so many that it’s difficult to know where to begin. If you are a digital nomad in Hong Kong and you like to network or have been thinking of reaching out to others, now is the time to take advantage and explore Hong Kong. In your leisure time, you can hike up Victoria Peak, with the best views of the Hong Kong island. You can also take an hour-long ferry ride to Macau from Hong Kong island where you can explore during the day and gamble in the evening. Moreover, if you’re looking for more fun things to do and meeting other expats like yourself, then pay a visit to the Big Buddha and Po Lin Monastery or explore other islands like Lamma Island. You can also head to Happy Valley Race Course and enjoy betting on horse races in the night. On the other hand, if you’re considering something more luxurious in your life, you can have afternoon tea at one of the many tea parlors in Hong Kong. When it comes to food, Hong Kong is fantastic. This is for two reasons. Firstly, the local cuisine is cheap and affordable, and secondly, Hong Kong is the epitome of an international city, with kitchens from all over the world. If you ask anyone who plans a trip to Hong Kong, many of them will usually tell you that they are there for the fantastic food. Whether it’s about endless amounts of cafes or outdoor stalls, you won’t go hungry in Hong Kong. You can eat authentic Indian, Malaysian, Vietnamese, Indonesian, Thai and Japanese food for cheap, all while working on your own as a digital nomad in Hong Kong. As a matter of fact, international supermarket chains like Taste, City Super, Marks & Spencer, and Oliver’s the Delicatessen stock premium imported goods at a higher price. While Hong Kong’s supermarket chains like Wellcome and ParknShop have all the basics of both Western and Asian, as well as fresh produce. On the contrary, if you’re looking for something more hearty, then give one of their many types of meat a try. From goose and duck to pork and chicken, the locals know how to roast up their proteins. On top of that, they like to show them off in shop windows and make your mouth water. For an eatery that you can have inside a subway station, it’s a big winner amongst locals and visitors. Have you been thinking of moving to Hong Kong as a digital nomad? If not, then hopefully with the help of this digital nomad guide to living in Hong Kong, you can confidently relocate to Hong Kong. You can not only get some work done but have a great time while you’re living here too. 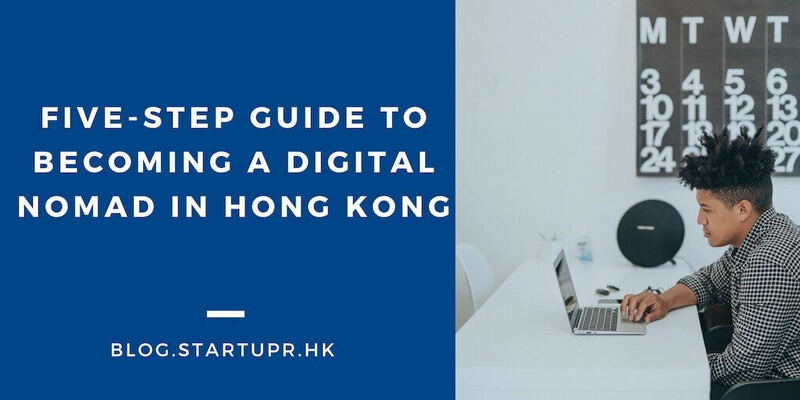 For more information about incorporation and registration of your business or guide for living in Hong Kong with ease, feel free to contact Startupr!